Tree Audio recording equipment has been on fire. We're busy building Tree Audio Roots recording consoles and Branch II channel strips faster than kids at summer camp can gulp down s'mores and glide down Slip n' Slides. To see what we've been up to, check out the photos and info below. 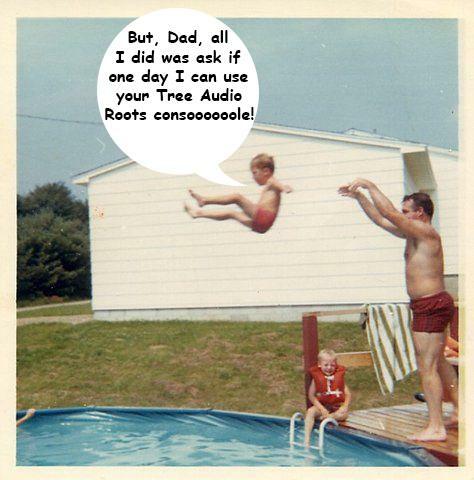 If you have questions about our Tree Audio products, please email Ian at ian@treeaudio.com. 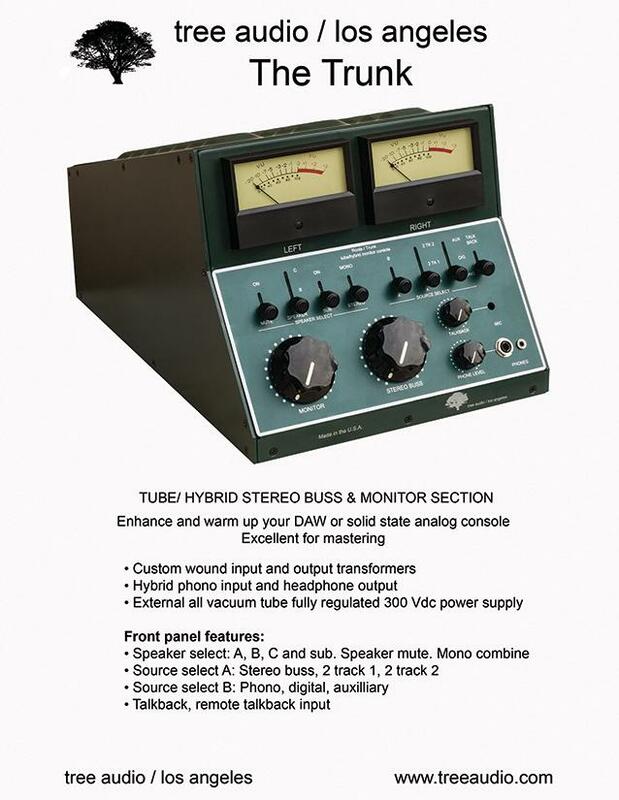 To find your nearest dealer: Tree Audio Dealers. We'd also like to introduce our newest dealer in Australia, Snowman Music. 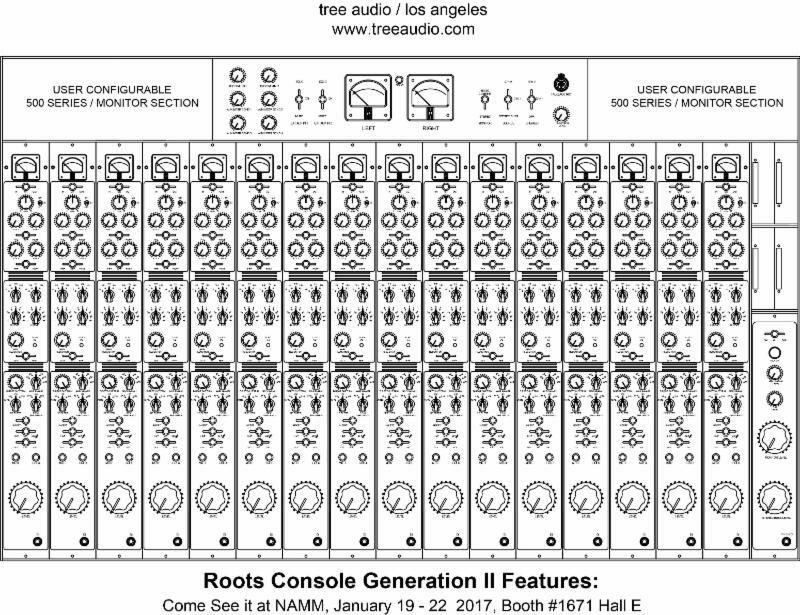 Just sent this Tree Audio Roots console to a talented artist on the East Coast. It's a 16 channel Roots Generation II in custom gray, with an 8 channel monitor on the left side and 500 series slots on the right. Recently, this Tree Audio 16 channel Roots Generation II console, with 16 500 Series slots, shipped off to Andrew Richardson. It's now in Sydney, Australia at Bulletin Place Studio. 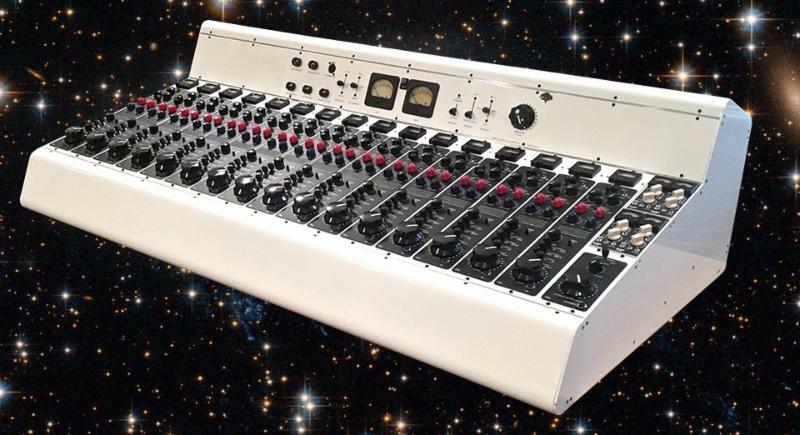 This sleek, white Tree Audio 16 channel Roots console is now up and running at Layman Drug Company in Nashville, where they converted an historic pharmacy building into a beautiful recording studio. Click on the link below to listen to singer/musician/songwriter Patrick Droney, while recorded on Layman's Roots console and ribbon mics, through an iPhone. Layman Drug Company, congratulations on your recent opening! Almost finished with this Tree Audio custom 16-channel console built for recording industry legends Bill Cooper and Richie Podolor. 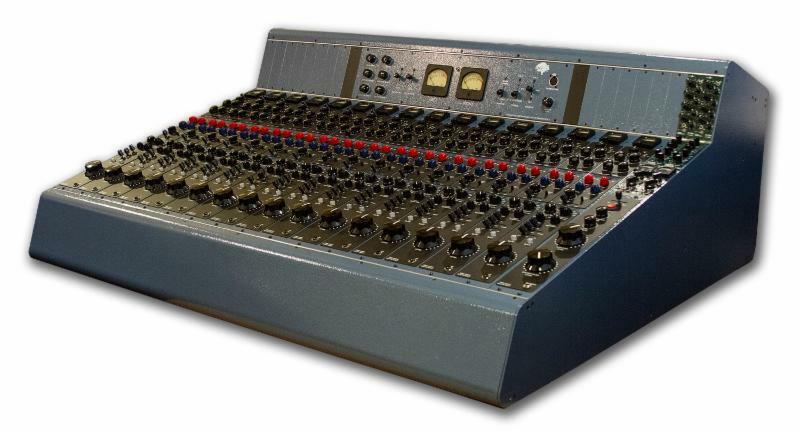 It has a 32 space 500 series sidecar loaded with Inward Connections comps and EQS, 8 Langevin passive EQs with Inward Connections amplifier cards. Plus an 8 channel line mixed with direct outs and inserts. To quote Jared Stansill of Pro Audio LA who wired it, "It's friggin insane." We've enjoyed working with Record Producer Richie Podolor and Record Engineer Bill Cooper, who worked as a team on "Born to be Wild," "Joy to the World," among many other hits, too many to list. 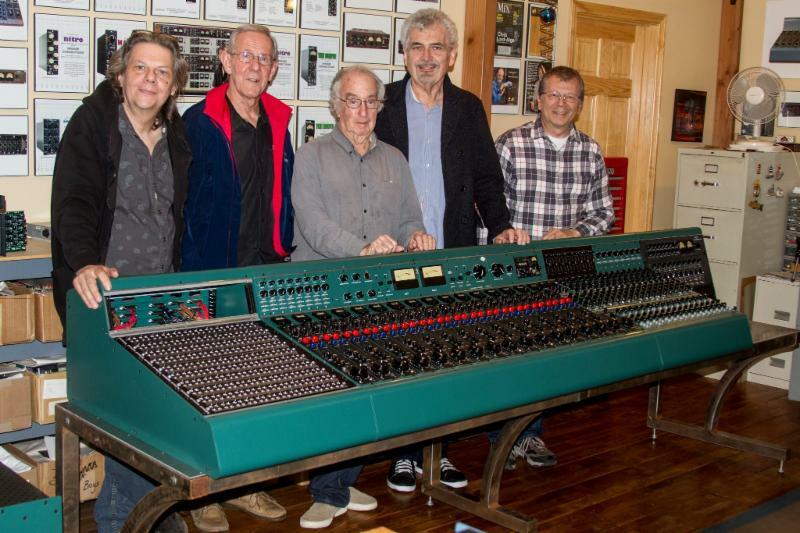 Photo: Between Tree Audio designers, Ian Gardiner on left and Steve Firlotte on Right, left to right: Bill Cooper, Richie Podolor and Bill Schnee (who came with Bill and Richie to check out their new console). Combined, these men have sold a gazillion hit records. Our Branch II channel strips continue to be in high demand. Many of our clients have more than one Branch. 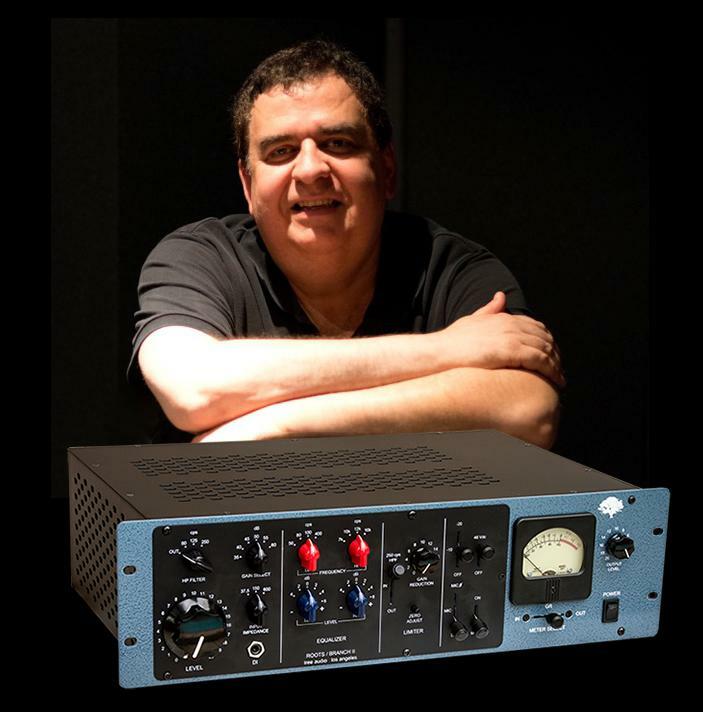 Glenn Rosenstein - Producer/Mixer/Engineer (Madonna, U2, James Brown, Ziggy Marley, The Shame Kale) - has four Tree Audio Branch channel strips. Glenn said, "Branch II - most nuanced pre/comp I've ever used." 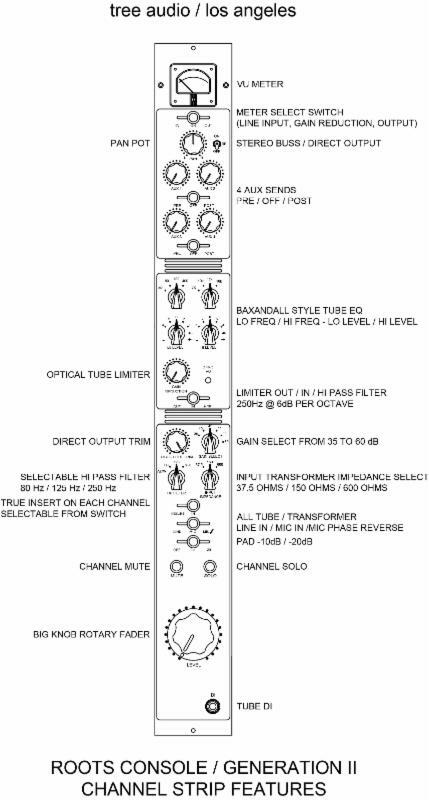 More info about the Tree Audio Branch II. 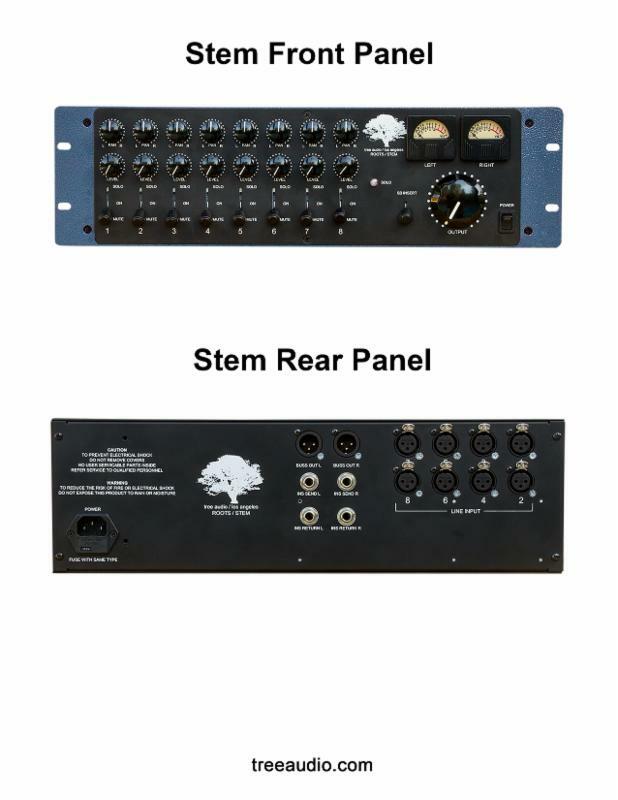 To see more of what we do: Here's a slideshow of other Tree Audio recording consoles and recording equipment. Music by Psychic Temple recorded on a Tree Audio Roots console at All Welcome Records in Inglewood, CA. 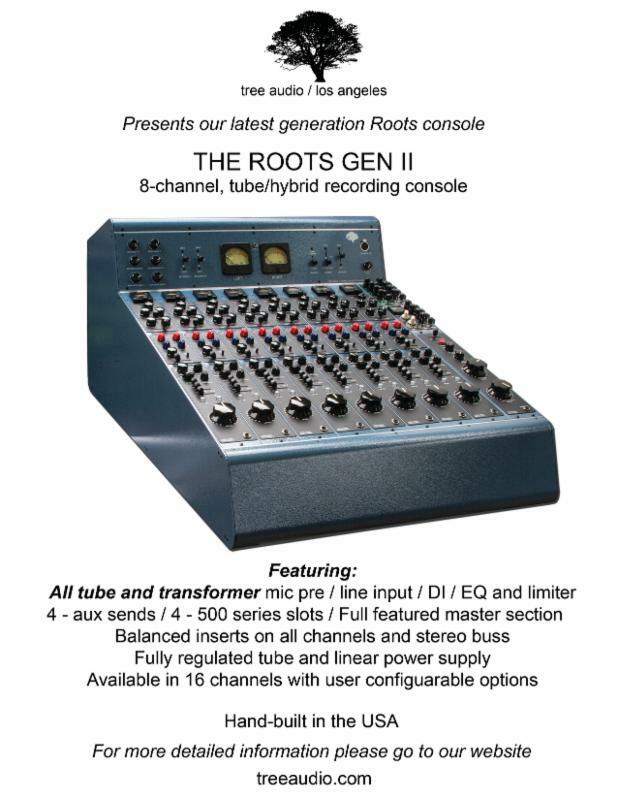 Our newest recording console: The Roots Generation II (Available in 8-channels and 16-channels). Below is a video done by Greg Wurth of Inside the Studio interviewing one of Tree Audio's designers, Ian Gardiner, about the Roots Generation II's newest features. More info below. The Trunk: Available now for shipping! 8x2 channels of all discrete, Class A VF600 Inward Connections amplifiers. 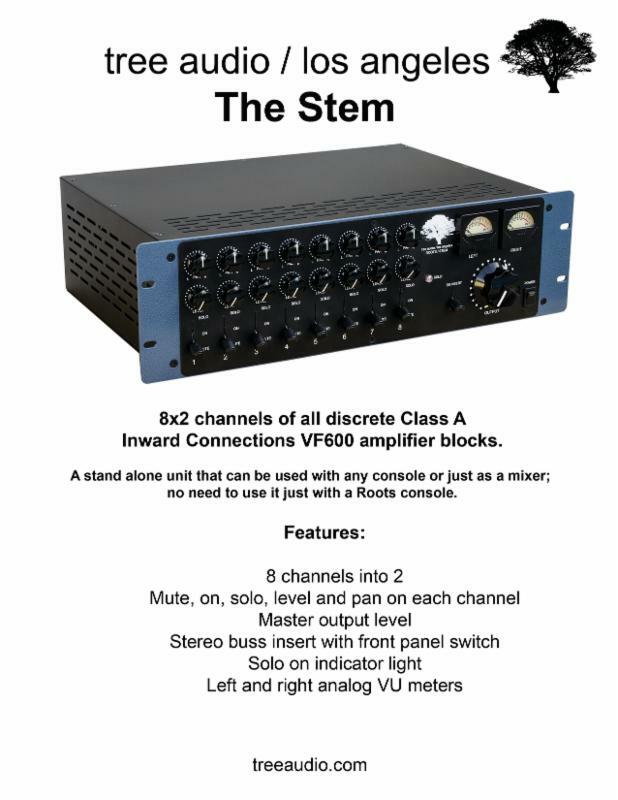 It's a stand alone unit that can be used with any console or just as a mixer; no need to use it with a Roots console.